Magento 2 Auto Invoice Extension speeds up Magento payment process by generating invoice and shipment automatically. Magento 2 default still shows certain drawbacks with invoice process because admins must manually create invoices and shipments one by one. Auto Invoice for Magento 2 extension resolves this limitation and increases work efficiency by generating invoices and shipments automatically. Admins no longer have to create invoice manually. 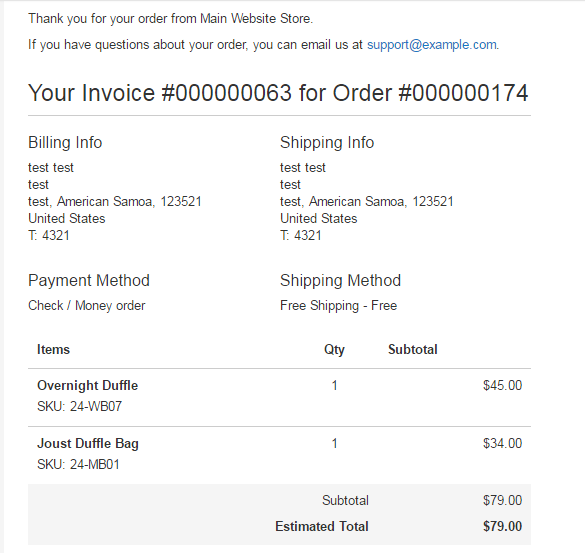 The invoice is automatically created after a customer finishes placing the order. The same function is applied for shipment. Magento 2 Auto Invoice extension uses order state “new” as the required condition to run the automatic invoice. If the order from customers has the state “new”, the extension will check the payment methods as set by admin. Then the automatic invoice will apply for orders that satisfy the condition. 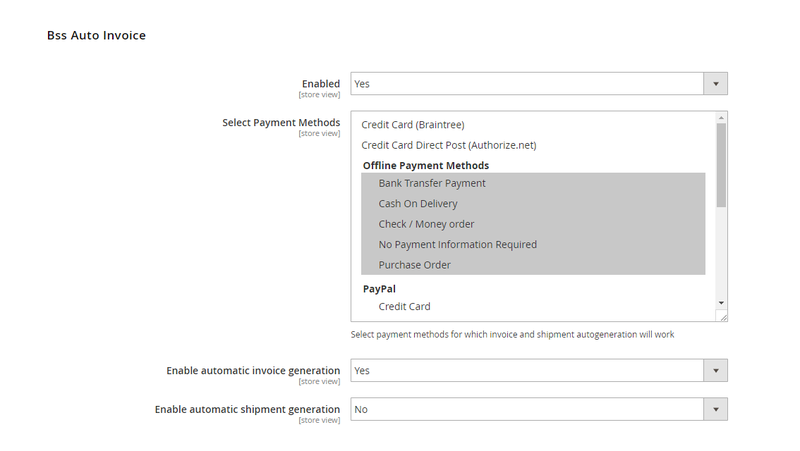 Some online payment methods such as PayPal, Credit Card... which create order state as "processing" and "pending payment" won't work for this logic of Auto Invoice for Magento 2 extension. After invoice and shipment are generated, invoice and shipment confirmation email will be automatically sent to customers at the same time with order confirmation email. Admin can select multiple online and offline payment methods to apply automatic invoice and shipment generation. Why Auto Invoice for Magento 2 is your must-have extension? After customers place orders and finish their payments, they expect to receive confirmation documents of their payments as soon as possible. With Auto Invoice for Magento 2 extension, orders will be processed immediately and invoice/ shipment emails will be sent to customers promptly. Therefore, customers can enjoy quick order process and appreciate the professionalism of your store. With Magento default, admins must handle all invoices and shipments manually, which takes a lot of time and effort, especially with the vast number of orders. This extension reduces admin tasks and speeds up order process with automatic generation of invoice and shipment documents. Automatic generation of invoices and shipments is enabled for specific payment methods. Depending on business strategy, admins can prioritize certain payment methods and give privilege for customers who use those methods of payment. Save a ton of time! This wonderful extension has relieved our store from spending lots time sending invoice/shipment email per order, especially on peak seasons. Thanks and keep it up! Great extension and quick support! There are dozens of orders on my web every day, sometimes I'm stressed out with an overload of manually creating invoices. M2 Auto Invoice helps me a lot. Also, the support team is helpful. They respond my problems quickly whether they are technical issues or consulting questions. Really useful extension! I can set the auto invoice function for some payment methods only. I have two different website and I buy this extension for both website. I really enjoy this features, it's backend is simple, easy to use but the result is wonderful. Great job !